For the last 8 years, I have been blessed to be a dog momma of a Australian Cattle dog mix (aka: red heeler) named Chester. While he is a very smart dog who is easy to train, it is clear that it is I, as the owner who is not so easy to train. 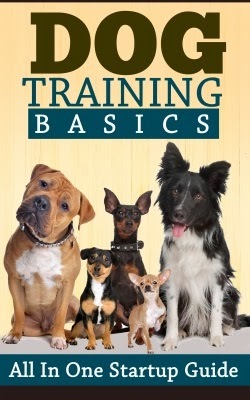 I recently reviewed the Kindle edition of Dog Training Basics – All In One Start-up Guide (Dog Training & Behavior, Training Methods & Standard Commands). Choosing the right training method – electronic, model-rival, dominance-based, relationship based, koehler method, motivational training or clicker training. Basic dog training concepts – leave it, reward, ignore, stay, etc. House essentials – manners your pet should learn to be a respectful member of your home. My dog graduated (barely) from Puppy school at PetSmart when he was a puppy, but over the years after we had our children, we became lax with his training, so it was fun and interesting for everyone in our family to get a little refresher course! If you have children in your home like I do, it is so important to have a well behaved, respectful dog!